Technology has become a fixture in our everyday lives, and those living in retirement communities are certainly no exception. Several senior living communities feature amenities like computer rooms for residents to use, and in addition to this, the ownership of personal smart devices among seniors have soared. Whether using smartphones to text or call family or tablets to read the latest news, seniors are—much like the rest of the population—increasingly connected. 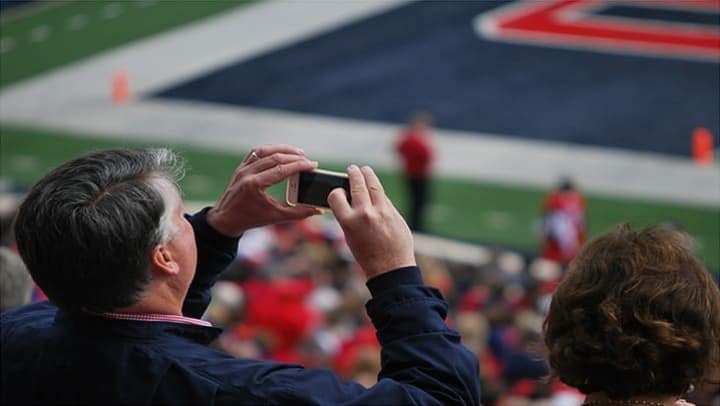 Technology has had a big impact in many respects, and with so much time in the average retiree's day to take advantage of, smart devices can play a crucial role in entertainment, social stimulation and personal enrichment. Skype is one of the premier apps for video chatting with far away loved ones. As one of the first apps to gain a large following, seniors can trust Skype's secure,high-quality connection to whoever's on the other end of the line. While Skype is most known for its video chat functionality, it also supports instant messaging and internet phone calls for a smaller fee than standard landlines. So, if you're family is out of the country and an international call would cost a bit, using Skype to video chat is a great option. Audiobooks have gained a big following in recent years. Just as podcasts have exploded in popularity, narrated audiobooks have become a favorite with readers and listeners. For seniors with eyesight issues that cut reading sessions short, audiobooks can help by providing new and exciting ways to "read" new titles or re-explore old favorites. Audible is among the best options within the audiobook library, with some 200,000 literary works to choose from. Audible is also owned by Amazon now, making it a trusted app, one that can even sync with Prime accounts for greater ease of use. While app stores have thousands of games to choose from, Words With Friends is one of the most entertaining, allowing for ongoing fun and friendly competition that will keep the mind sharp and active. Forget Angry Birds or Candy Crush, Words With Friends allows seniors to—as the game's name indicates—connect with friends and family at the same time. The game, fashioned after Scrabble, contains a social component that allows seniors to either play games with relatives they know, or random opponents from across the world. Sometimes, choosing a random opponent can end in magic, making it hard to pass up. Keeping a sharp memory is important for seniors as they age, and using an app that offers brain games like Lumosity can help make that easier. With inventive puzzles, games and different brain teasers, Lumosity provides some much needed mental stimulation. The app takes users through various, scaled levels of problem-solving games, logic games, memory skills and critical thinkings. Just playing 10 minutes a day can help seniors, who oftentimes find it easy to get wrapped up in the game for much longer. What better app for seniors to take advantage of than AARP's own gateway for smartphones and tablets. Mobile technology makes maintaining personal accounts easy (think online banking), and keeping an active AARP membership through the app is simple. Seniors can access news from the organization, learn about events around them, search for senior discounts at local businesses and make use of all the online resources AARP makes available to members. Tracking medications accurately is important for seniors, and they can leverage technology to stay on top of prescriptions. Medisafe allows seniors to craft interactive schedules that send them reminders on when to take medications. They can also edits these reminders to include instructions like "take with food." Seniors can also program the app to send notifications to friends or family to be safe. Medisafe is best thought of as a supplement to whatever seniors do to manage medications currently, but a valuable one at that. It enjoys a high rating in smartphone app stores. Everybody's forgotten where they've parked their car before. However, ParKing users can keep tabs on their car at all times by using the app to document parking spots and even search for nearby open spots. Parking regulations can also be complex and hard to read on faded curb signs, but it's a cinch with ParKing, which saves time and avoids confusion. Interested in more information about senior living? Contact us today.